Jiro Bevis is a brilliant graphic artist based in London. 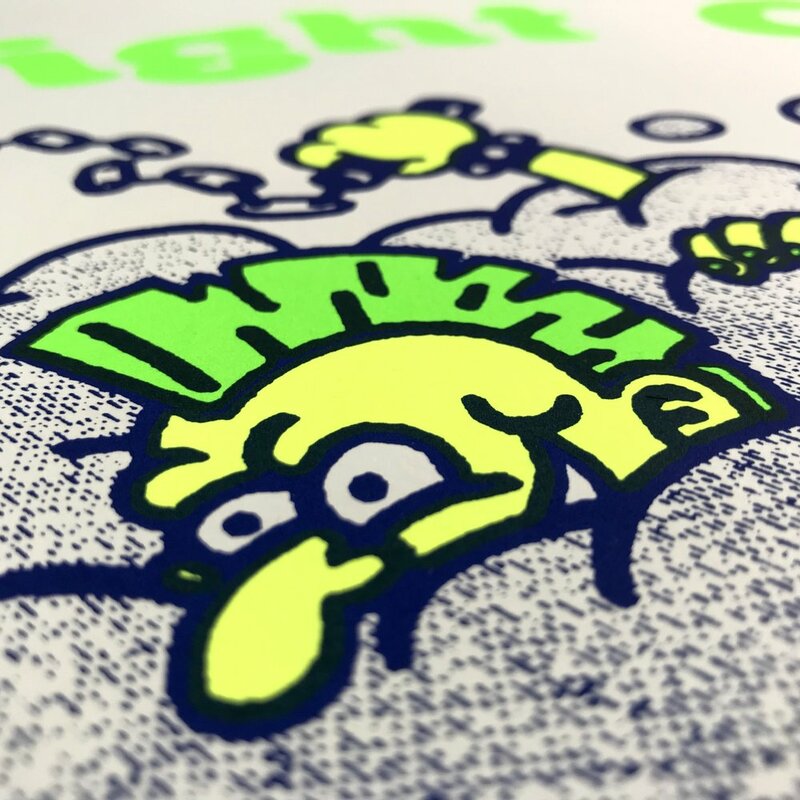 His amazing cartoon-like illustrations are bold, colourful and often raise a smile. 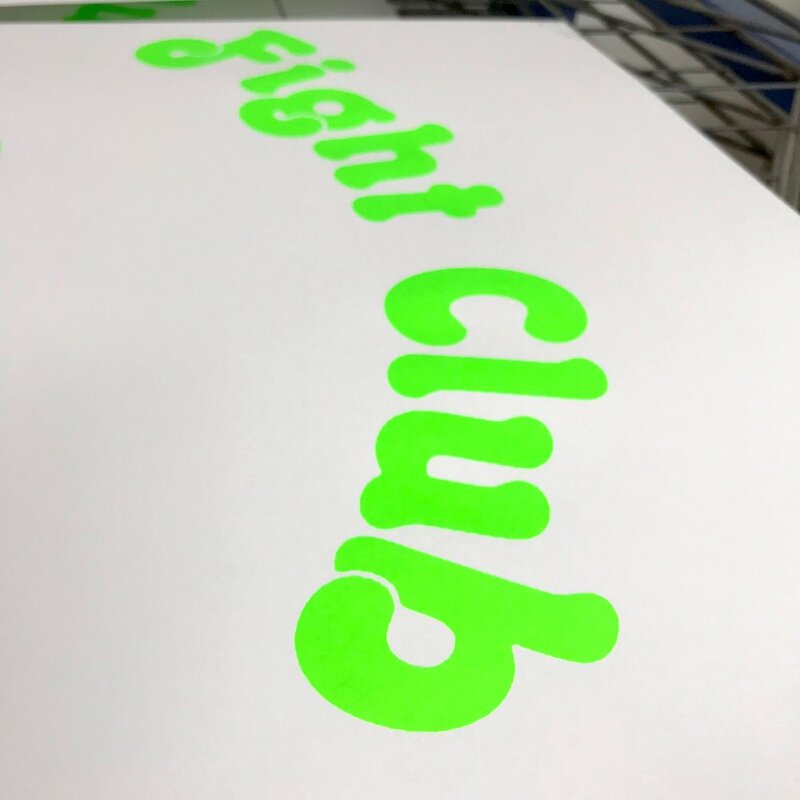 He has worked for clients such as Nike and Google, but you may also be familiar with his work for Carhartt, Test Pressing and NTS amongst many others. Radio Jiro is also well worth investigating for a tasty multi-genre selection of tunes from across the globe. We've long admired his work and so we are delighted to work with Jiro. 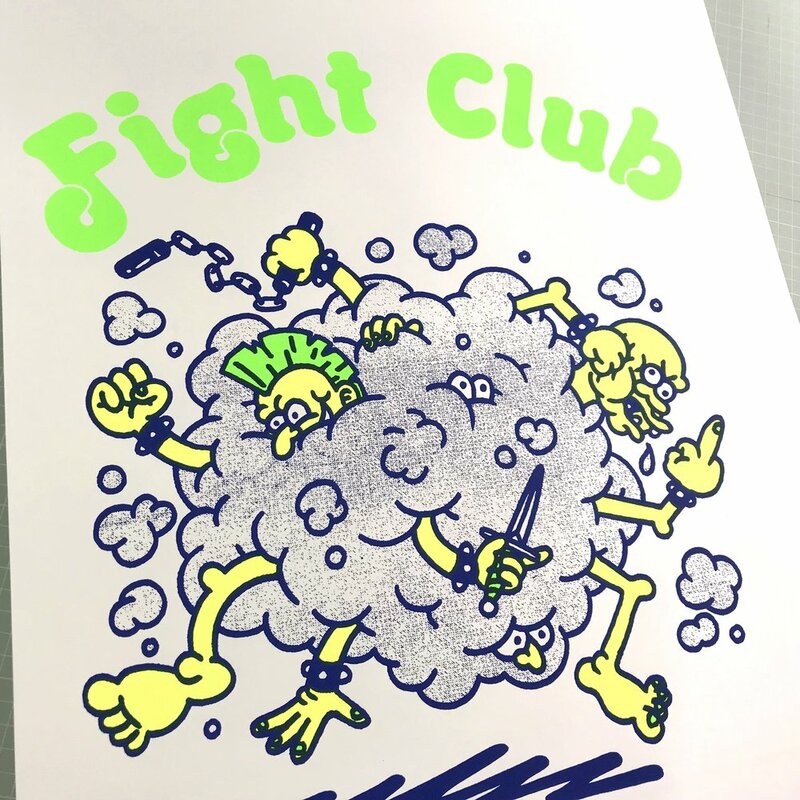 'Fight Club' prints 2 punchy fluorescents (green and yellow), along with a strong mid blue onto GF Smith's uncoated Zen paper. 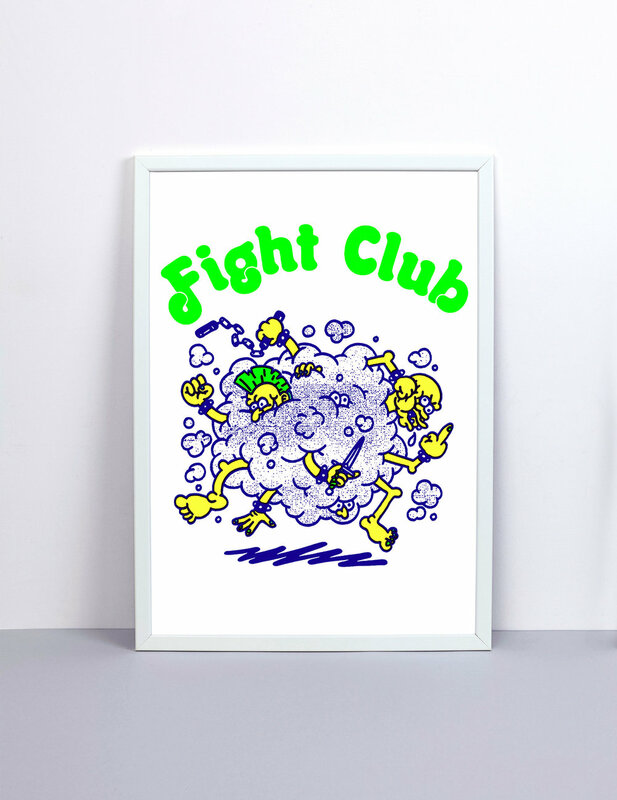 Only 20 prints have been made and they are exclusive to The Private Press 'Editions' series.